Hey, Can any one translate this for me?? I showed this to a couple of businessmen from Jordan. They said it wasn't Arabic or Farsi. They suggested the writing might be Hindi. Thanks Alan for checking that out for me. 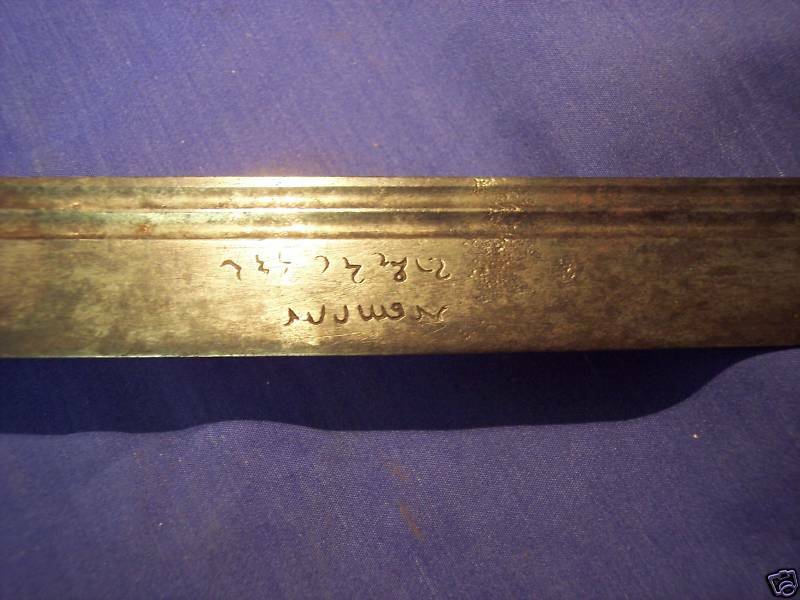 Its not hindi either so that probably means its a form or 18th cen. Western talismanic script. I dont think it Hebrew/Qabbalic either. Someone get Madonna on the line!